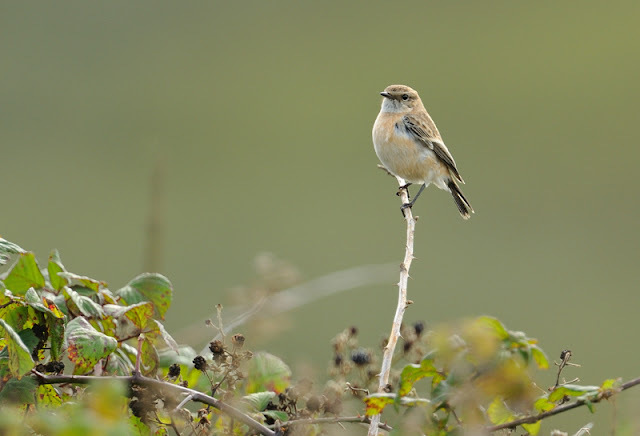 This first year male Siberian Stonechat was found yesterday (2nd Oct) by John Hawkey at the entrance to Gurland Farm, Nanquidno. It favoured the bramble and gorse clumps to the left of the track. It ranged widely over the area and its territory was surprisingly large. In fact it disappeared in the afternoon meaning some birders actually dipped. 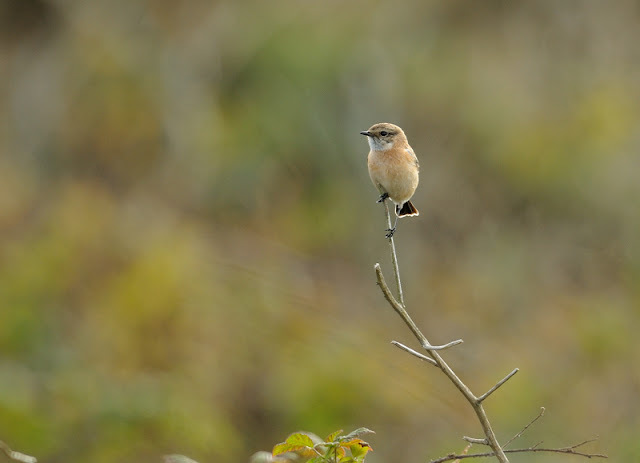 The upper image just shows the pale peach coloured rump without any streaking or spotting. Brilliant couple of posts, how coincidental that we were only talking about the siberian recently.